Too often, older adults become isolated. Friends and family may have moved or passed away. Mobility issues can cause an individual to stay in more and interact with others less. Or it can be as simple as not knowing where to go to meet new friends, celebrate holidays, or get involved in a weekly game of mah jongg. 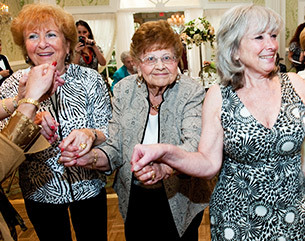 Jewish Family and Children’s Service of Greater Philadelphia helps older adults stay connected by providing group opportunities to come together at JFCS planned events or individual visits from a caring volunteer.